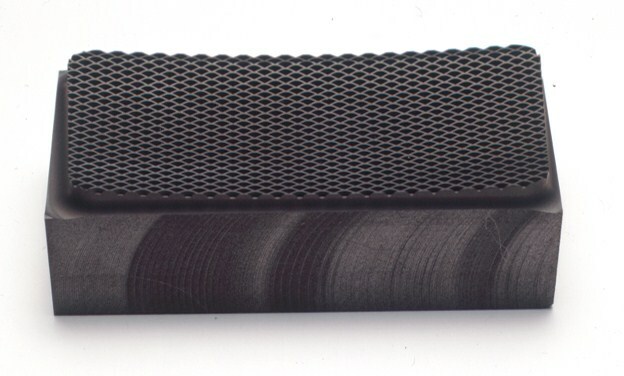 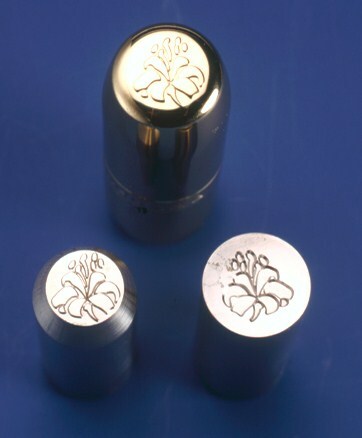 Today, embossing tools are used for a broad range of applications in the writing utensil, cosmetics, automotive, packaging and printing industries. 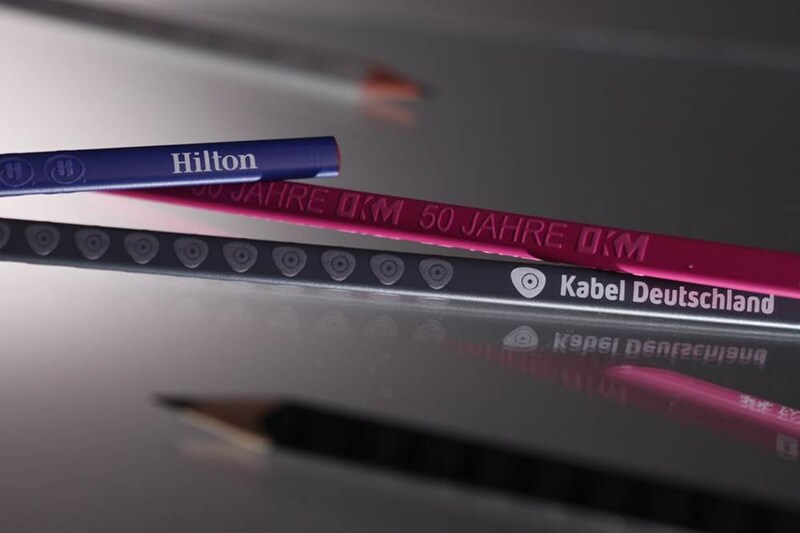 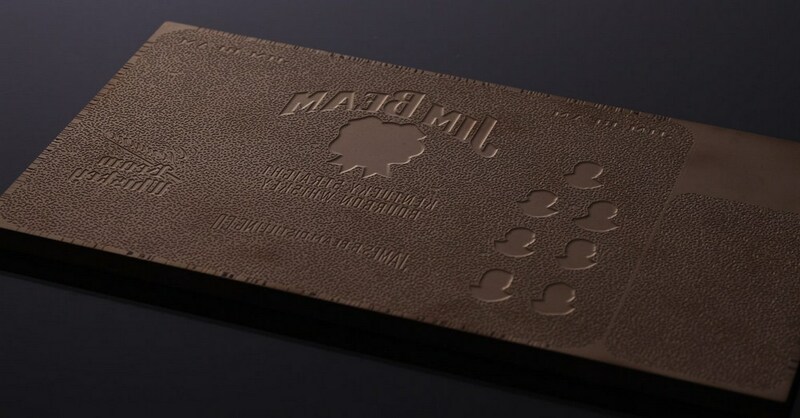 Especially for premium brands and products that appeal to upmarket target groups, embossing tools in the most varied designs are an almost indispensable element of a top quality brand presence. 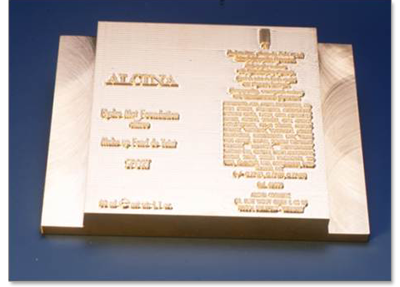 You can find further, more detailed information on the different embossing tools under the heading "Detailed information". 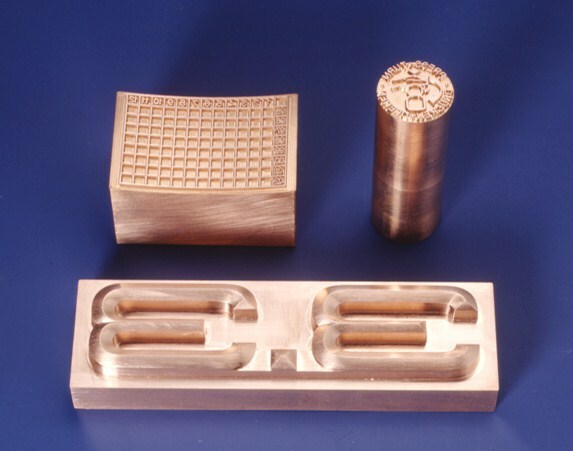 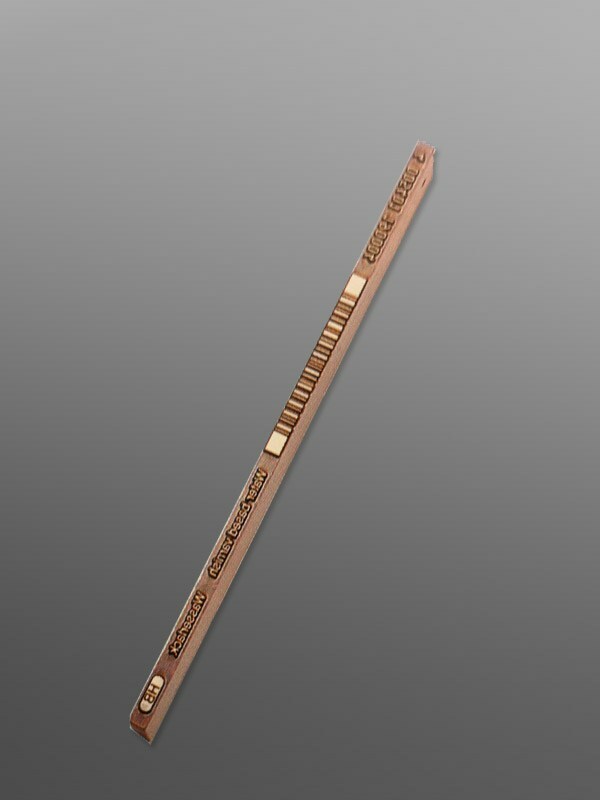 We manufacture lettering electrodes for moulded parts and tools from materials such as copper, graphite and steel for eroding. 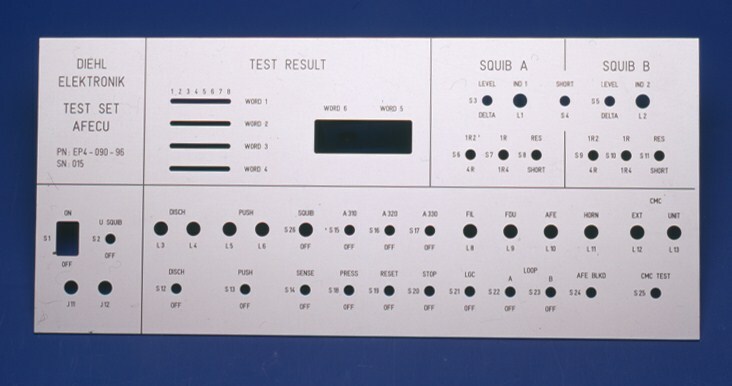 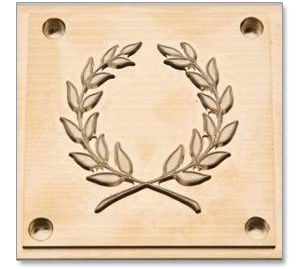 Free-form surfaces can be read into our newest CAD programme as IGES or VDA format. 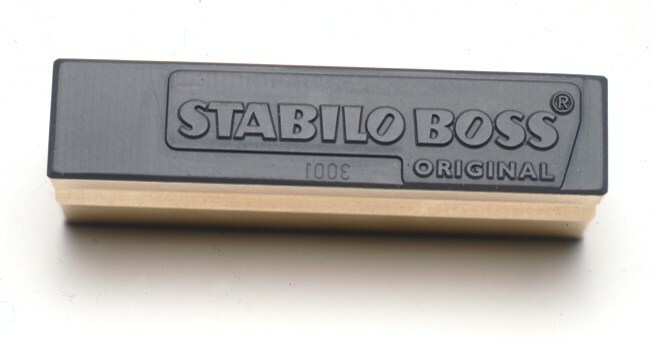 This makes an exact replication of 100% possible. 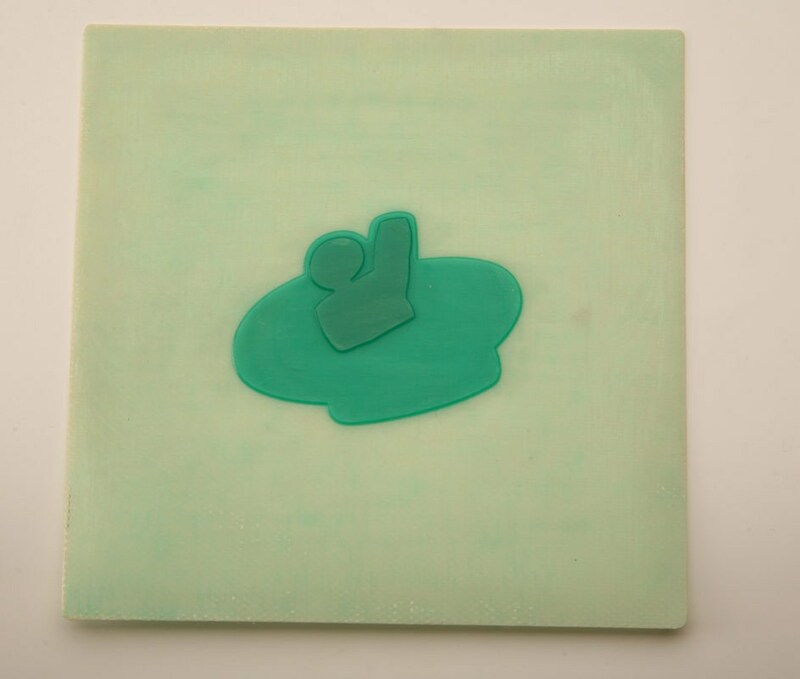 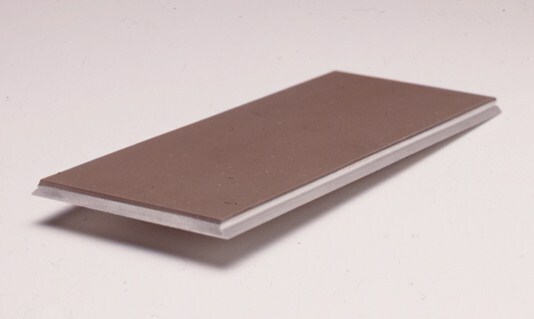 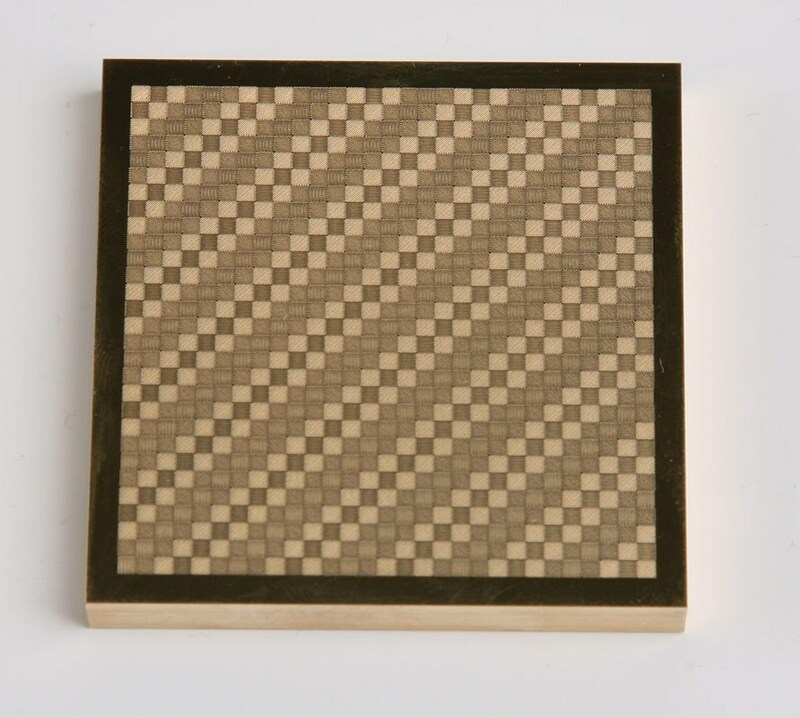 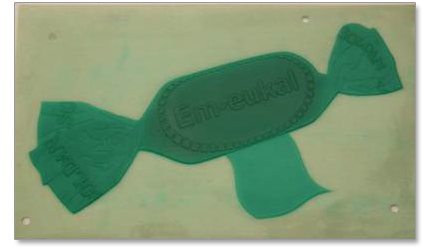 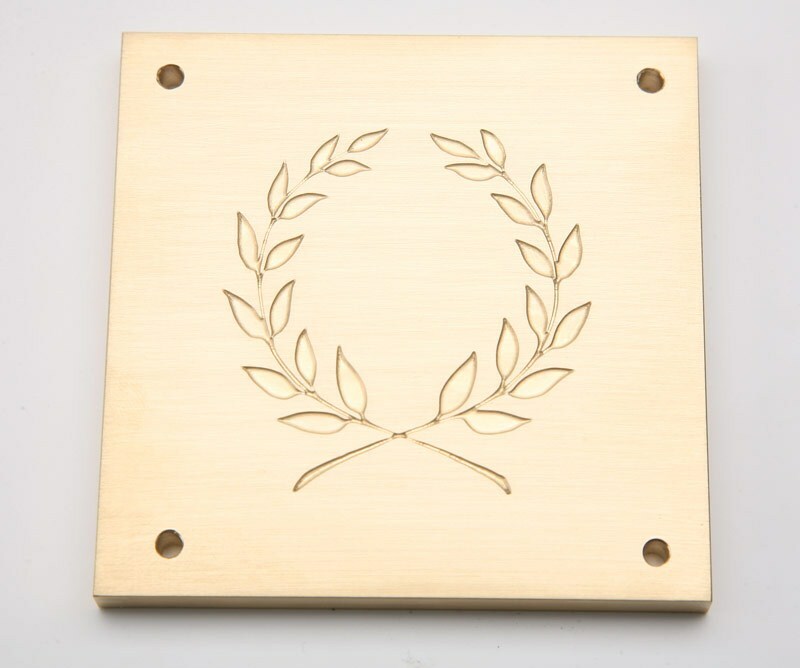 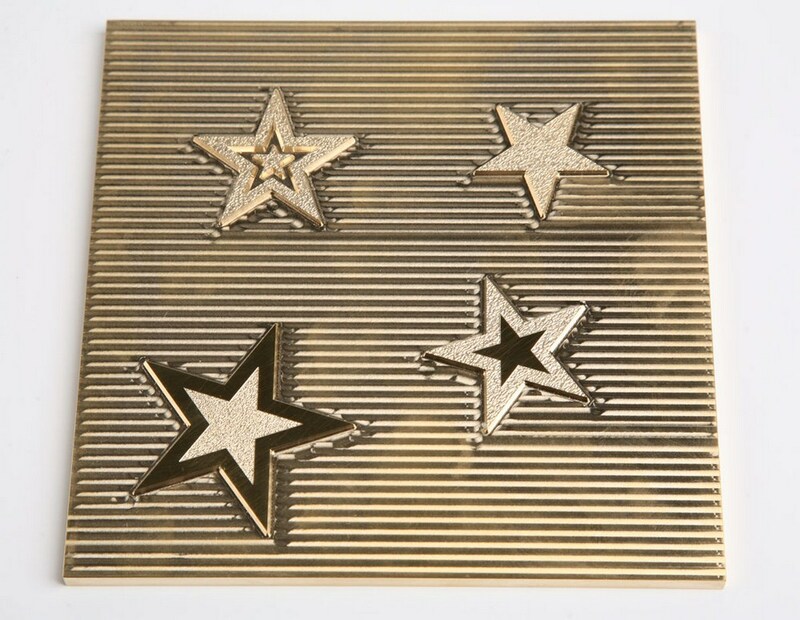 Manufacturing tolerances for surfaces out of synthetic materials and surfaces with sink marks can be levelled out by embossing them with silicone rubber dies. 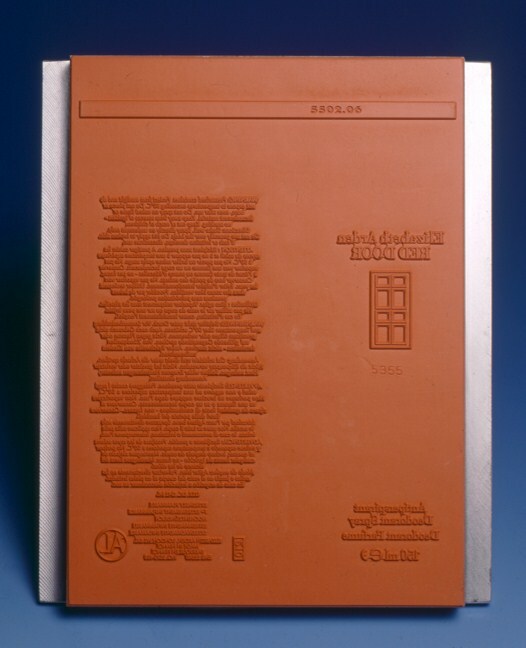 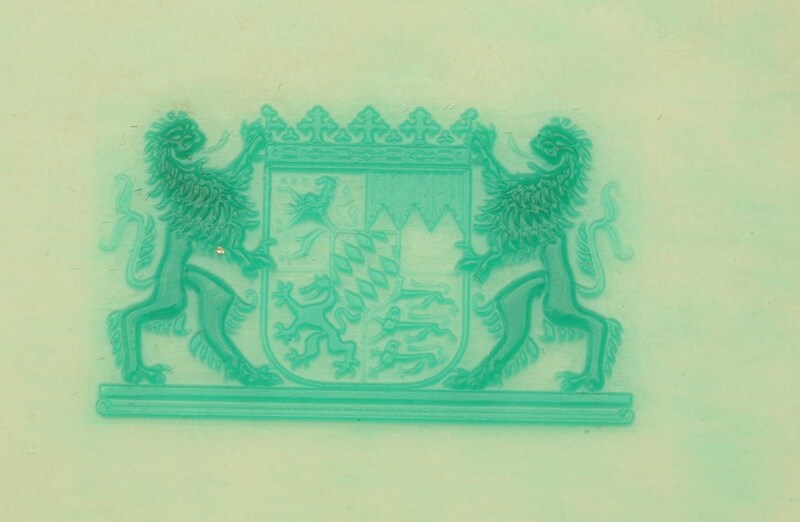 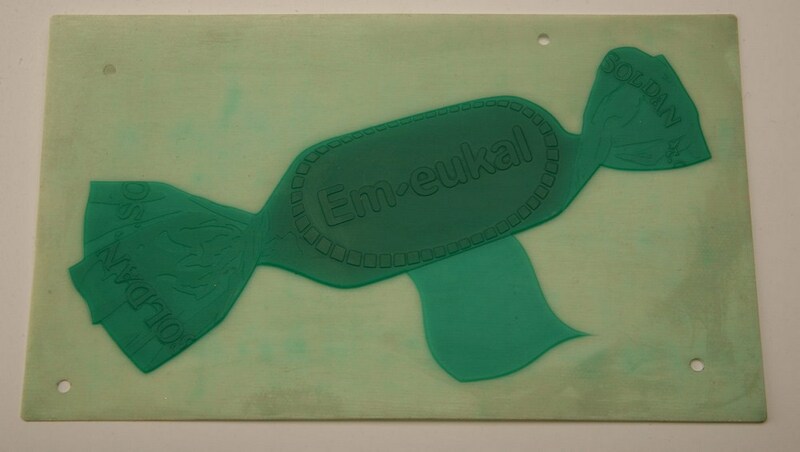 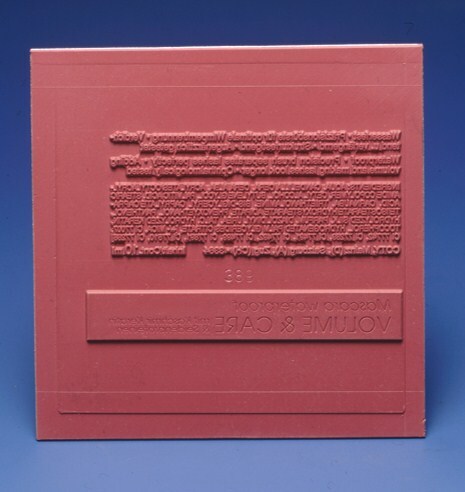 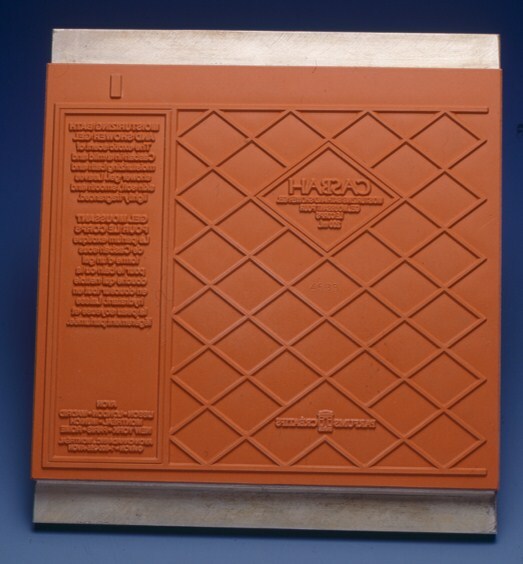 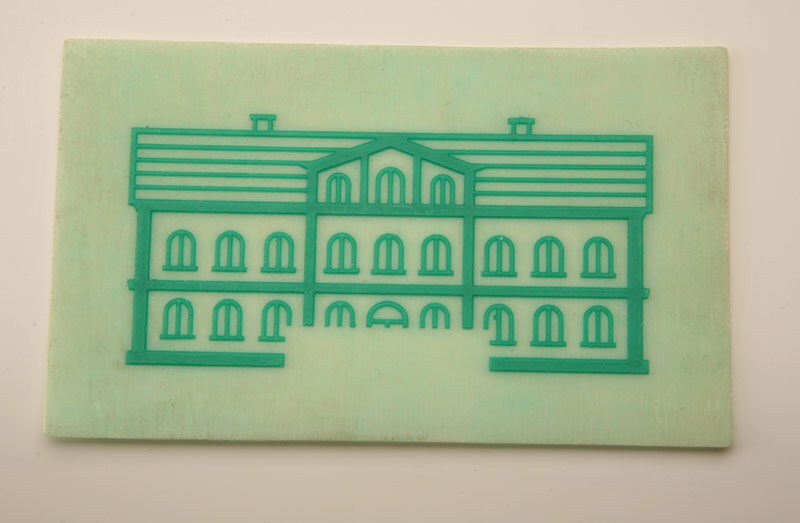 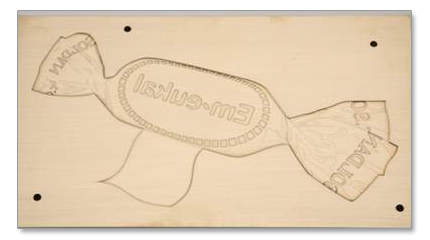 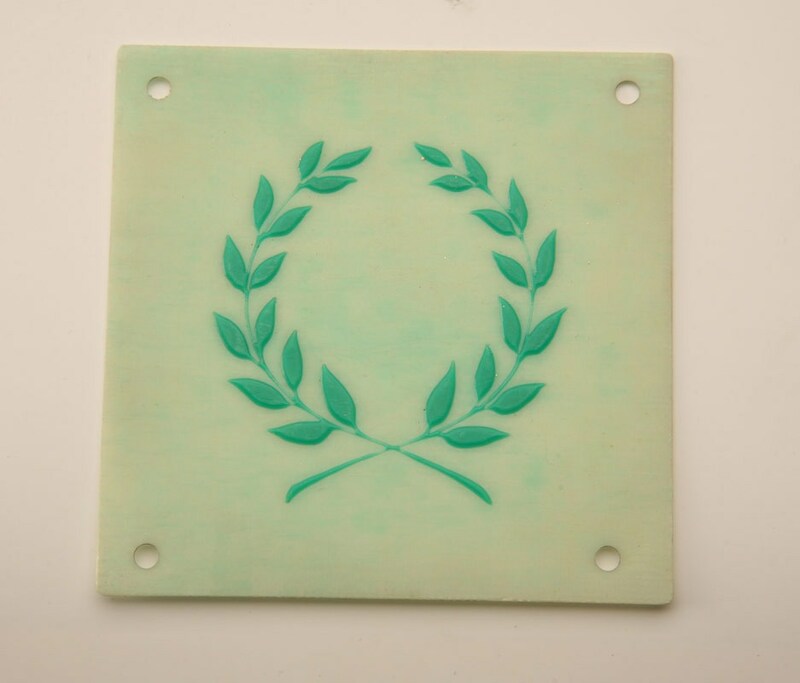 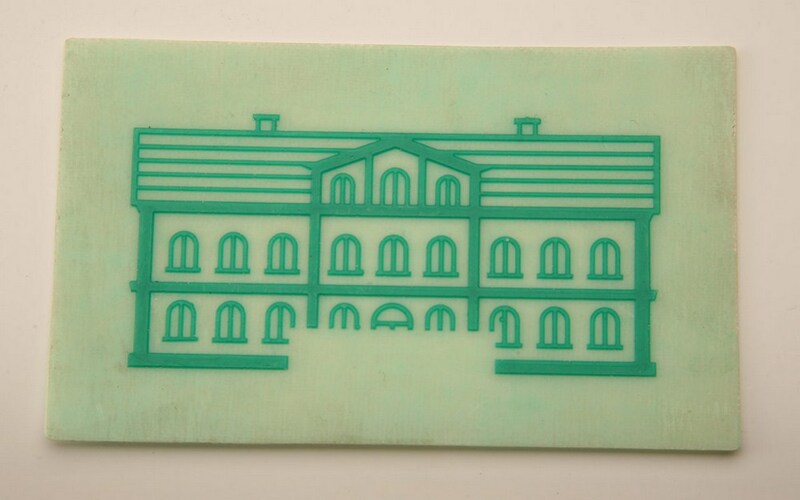 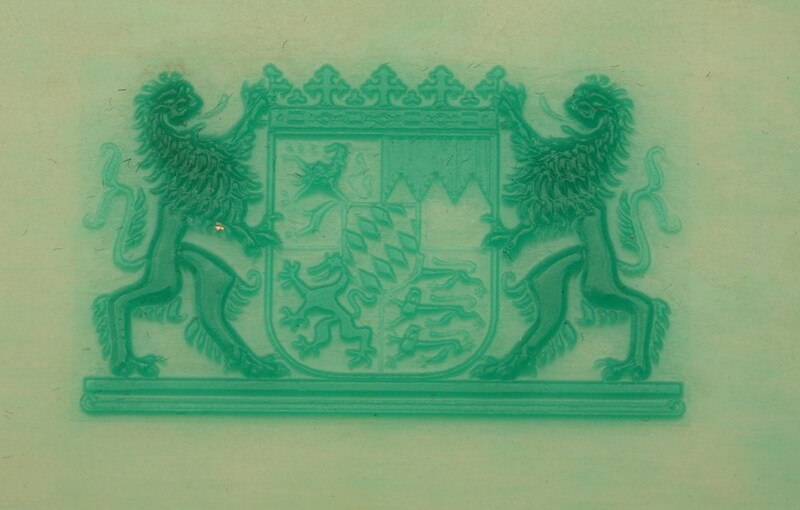 Silicone rubber embossing dies do not require much pressure. 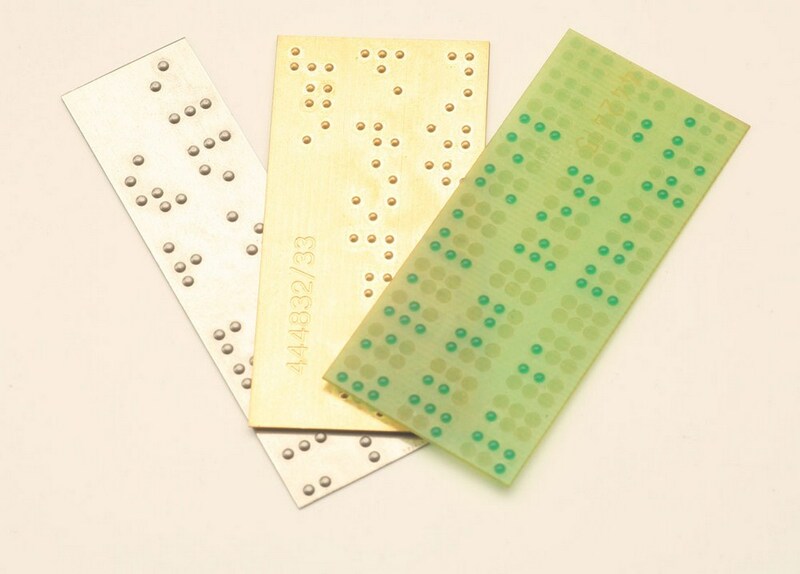 This is a crucial advantage when processing susceptible parts. 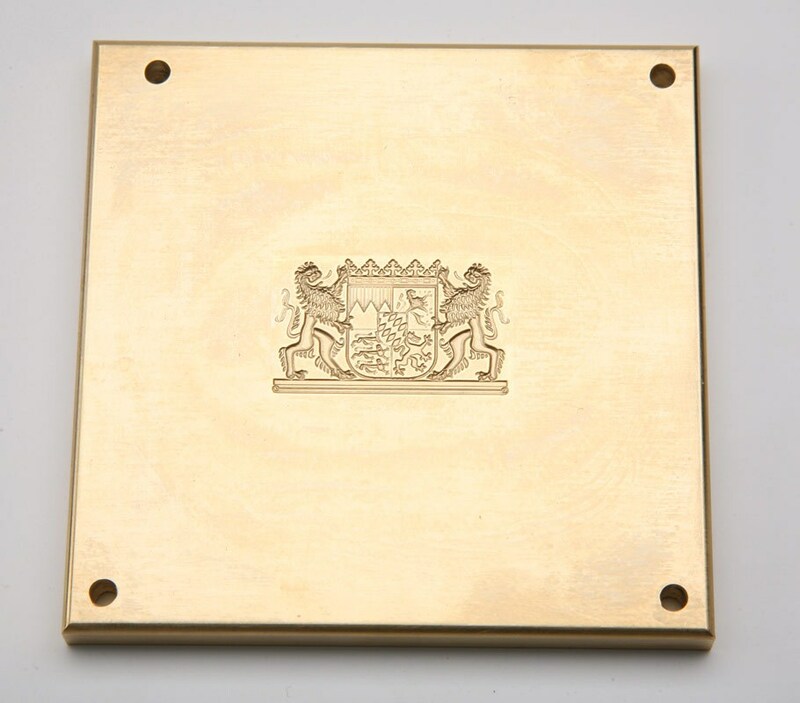 Designs with flat, convex or concave shapes are possible with aluminium or brass carriers. 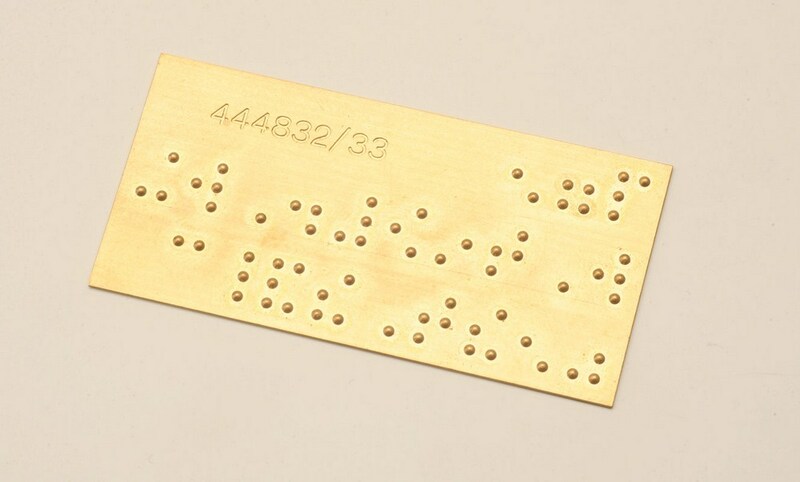 They can be used in all industries. 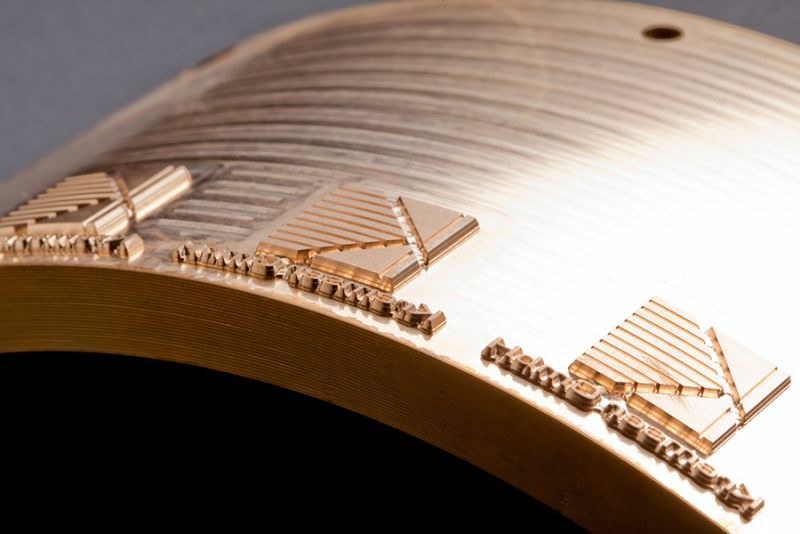 Apart from the tools themselves, the fixture that holds the embossed parts is of vital importance. 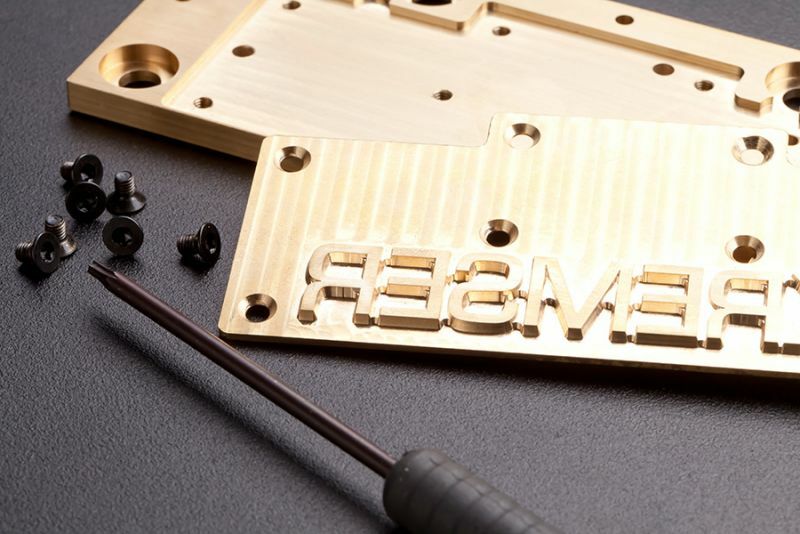 It supports the workpiece and together with the embossing tool it ensures that the force is applied uniformly. 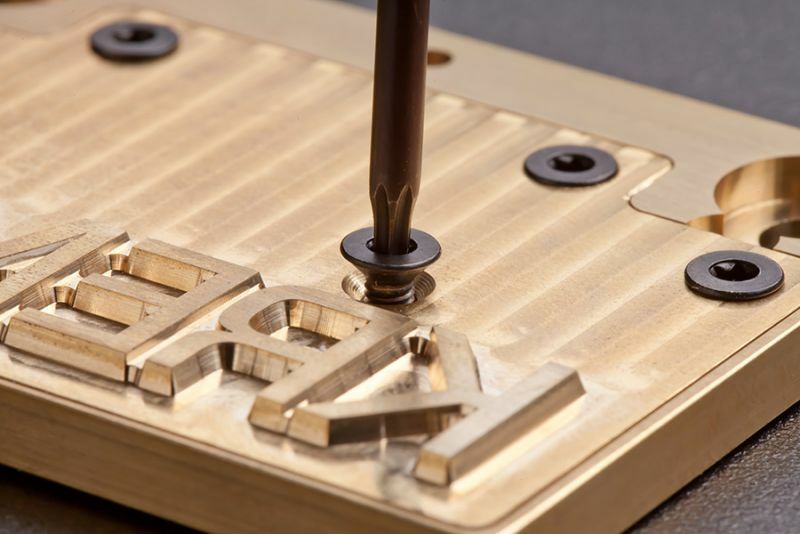 Especially when processing complex workpieces, it is absolutely necessary to use a fixture that fits the embossed part precisely. 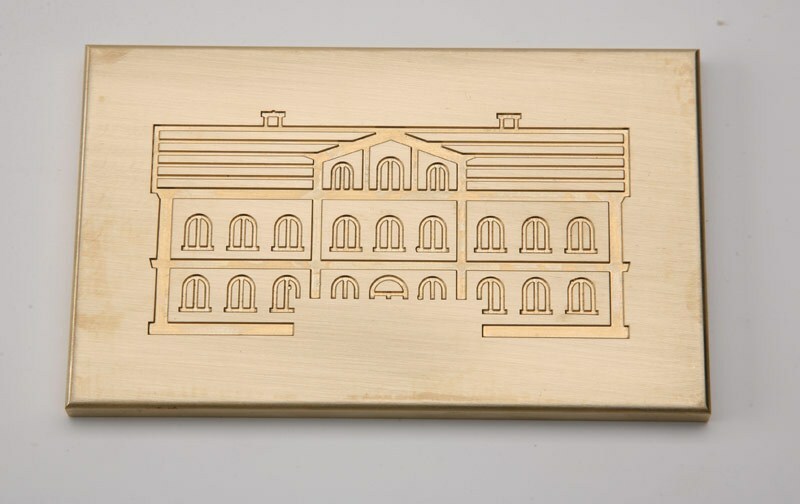 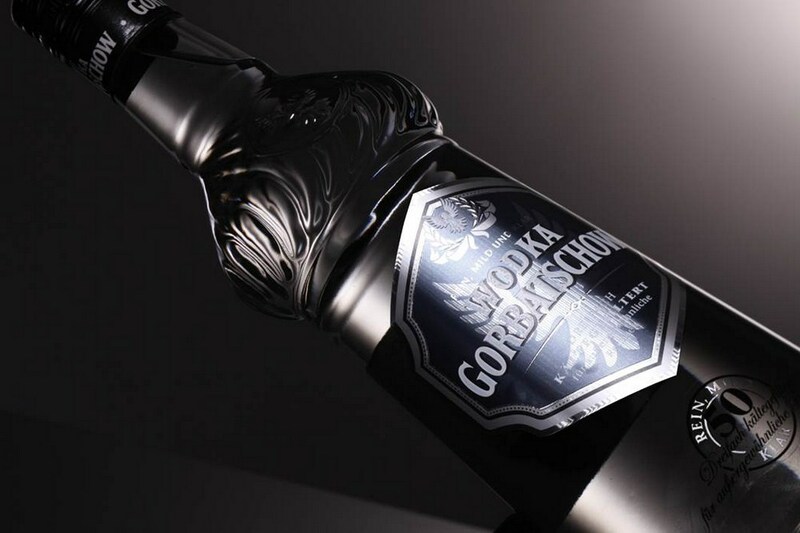 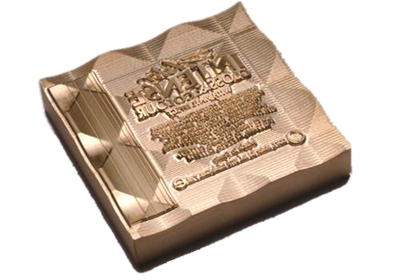 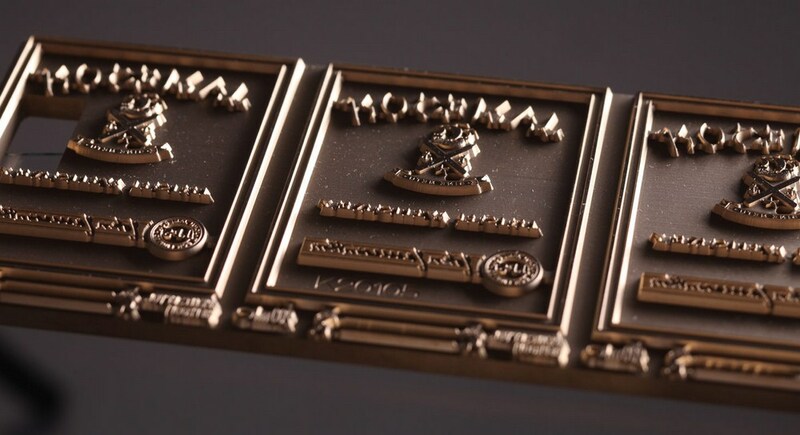 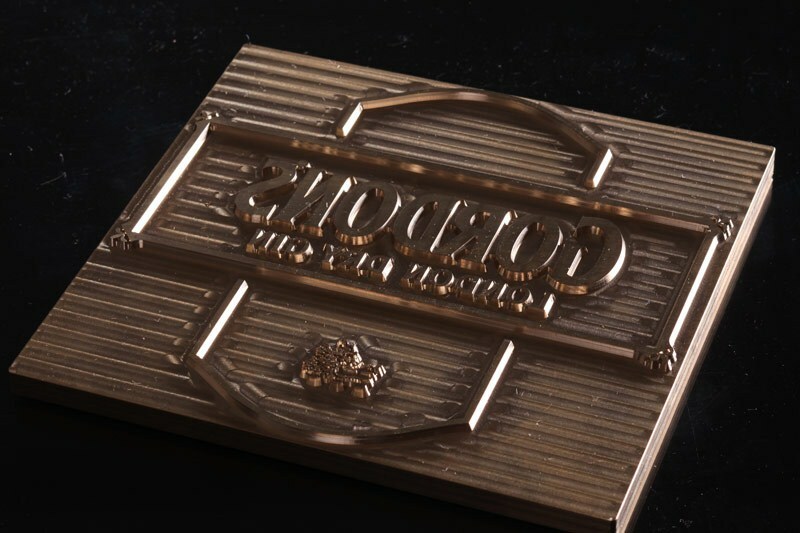 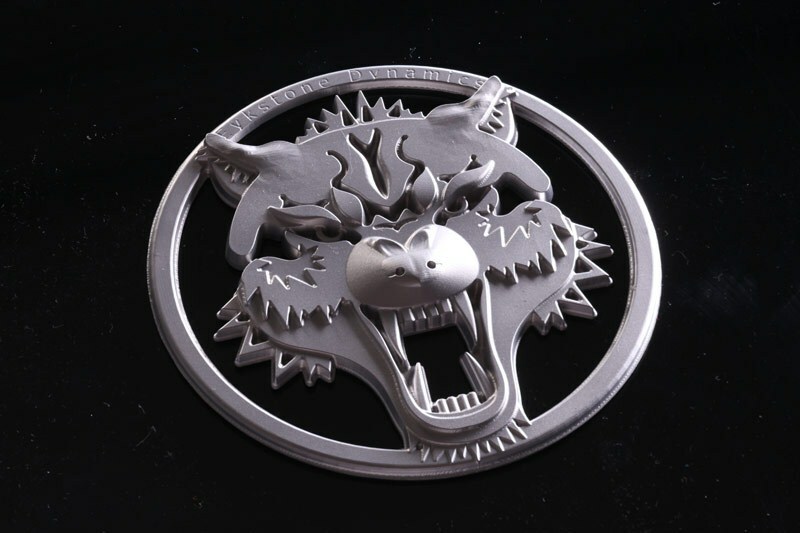 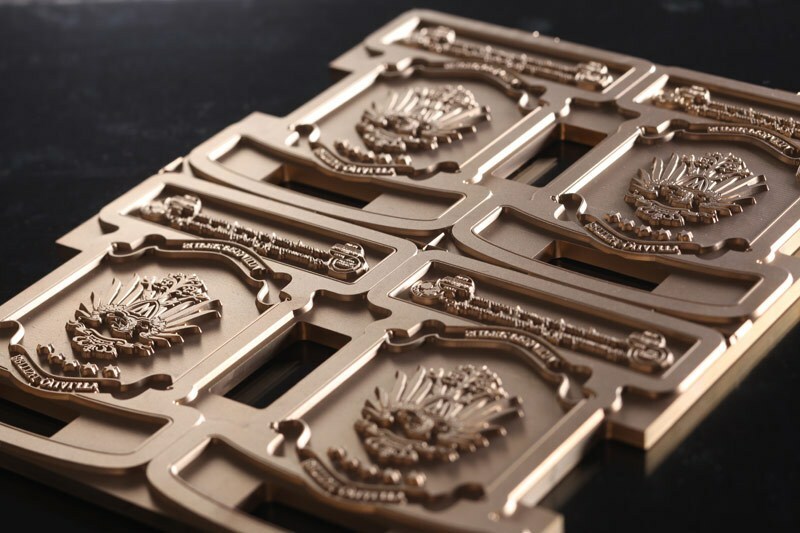 The best embossing results, whilst keeping set-up and readying times at a minimum, can be achieved if the fixture and the tool are both delivered by the same company. 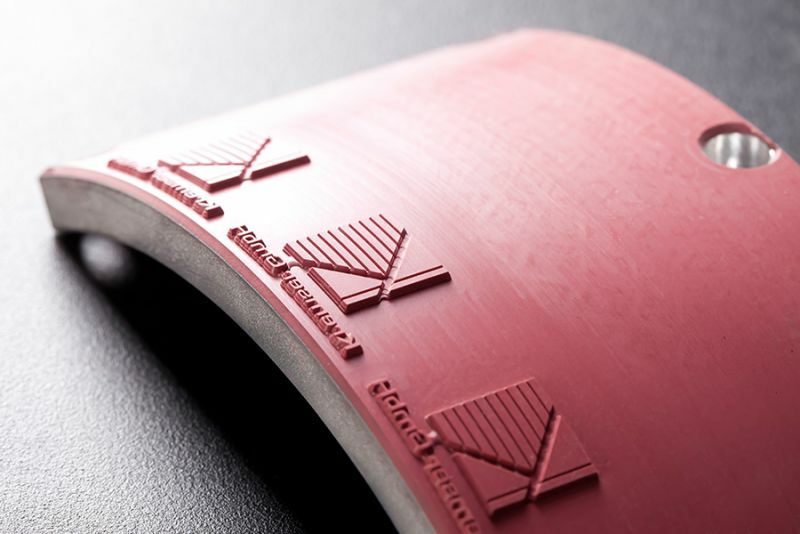 Kremser GmbH is your competent partner for this. 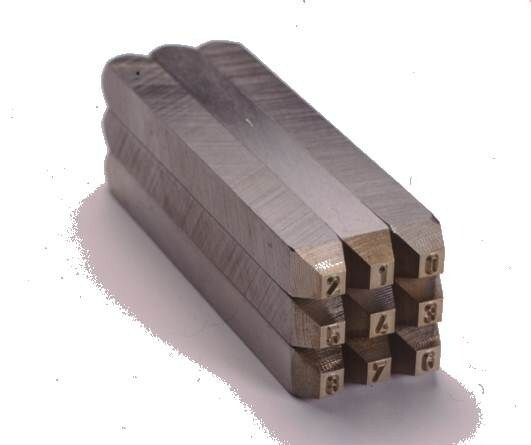 We develop and manufacture premium aluminium workpiece fixtures that are tailored to your needs. 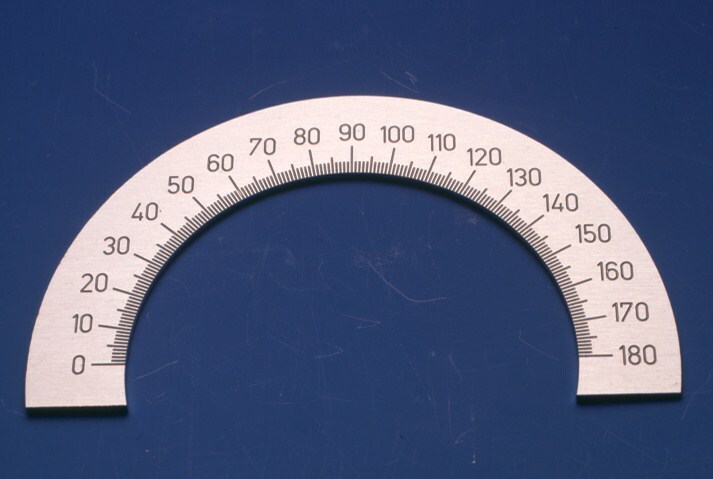 Centering aids help you set up the equipment when using a different tool.